For one-semester, advanced undergraduate or beginner graduate level courses in NMR Spectroscopy, or for courses that cover NMR Spectroscopy in addition to other spectra. 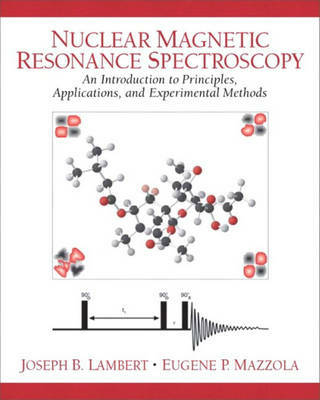 Designed to cover a full course in NMR Spectroscopy, this text offers complete coverage of classic (one-dimensional) NMR as well as up-to-date coverage of two-dimensional NMR and other modern methods. It also contains practical advice, theory, illustrated applications, and classroom-tested problems. Excellent option for courses covering more theory than practice and a lot of 2-D NMR.